A walk down memory lane, along the path of "angels". 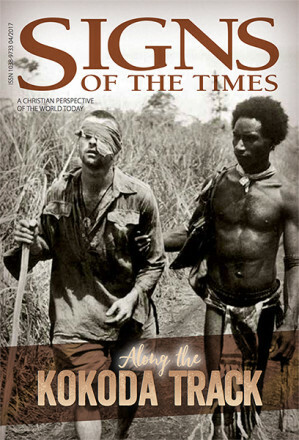 Kepsie Elodo reflects on life along the Kokoda Track. Eating more nuts could save your life. And why you should never order the "combo" meal from fast food restaurants. Modern critics claim that Jesus’ death has no more meaning than anyone else’s death. Clifford Goldstein responds to that challenge. Award-winning Hacksaw Ridge tells the story of Medal of Honor winner Desmond Doss, a conscientious objector. Julian Hibbert explores the philosophy of pacificism and its related positions. Wherever Jesus’ tomb is, Loren Seibold says, it really doesn’t matter, because Jesus isn’t in it.